iPhone XS Price, Review, Deals, Cost, & Sales! Home / Compare Cell Phones / iPhone XS Price, Review, Deals, Cost, & Sales! The iPhone XS looks fairly similiar to the X at first glance, but that couldn't be further from the truth. The XS has a faster processor, a 512 GB storage variation, and a Super Retina HD and OLED display. The iPhone XS has a 5.8" Super Retina HD display with a 2436x1125 pixel resolution. It also has an oleophobic coating which helps prevent your fingerprints from leaving smudges on the screen. Like previous iPhones, the iPhone XS has a 12 MP camera. It's capable of 2x optical zoom and 10x digital zoom. The iPhone XS can also record videos in amazing quality. You can record 4K videos at up to 60 frames per second and 1080p HD video at 30 or 60 frames per second. This iPhone is available in 64, 256, and 512 GB variations. That's a ton of storage space for all your photos, videos, apps, and more! The iPhone XS has dual stereo speakers located in the notch at the top of the phone and at the bottom next to the Lightning port. Just like the iPhone X, the iPhone XS has Face ID. The notch in the iPhone XS is full of sensors which helps recognize your face! Face ID is 20 times more secure than Touch ID, the biometric lock built into the iPhone 5s – iPhone 8 Plus. The iPhone XS is the first iPhone to be built with the A12 Bionic chip. The A12 chip is 15% faster than the A11 chip and has 50% faster graphics processing unit! The battery of the iPhone XS is designed to last thirty minutes longer than the iPhone X battery. You can enjoy up to 12 hours of internet use, 14 hours of video playback, and 60 hours of audio playback! The iPhone XS is also capable of fast-charging. You can charge it up to 50% in only 30 minutes! 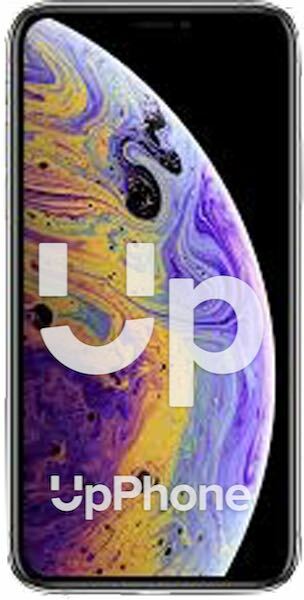 The iPhone XS is the first iPhone to receive an ingress proection rating of IP68. This means that it is water-resistant if submerged up to two meters for up to 30 minutes.